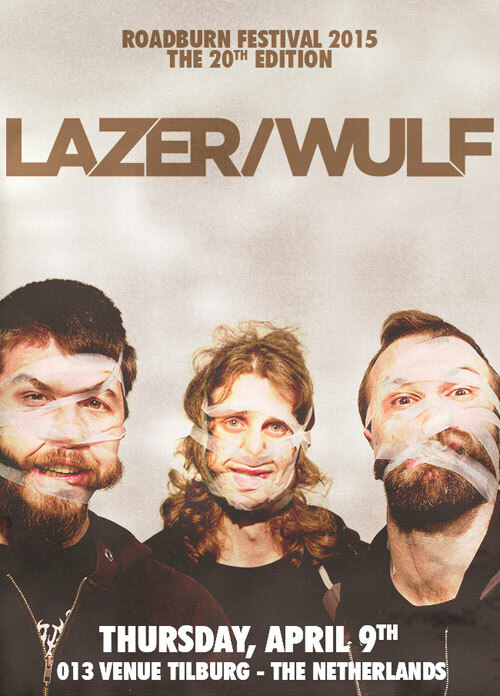 The mighty Kylesa thought enough of fellow Atlantan tech-metal power trio Lazer/Wulf to want to release their debut album, The Beast Of Left And Right, on their Retro Futurist label and Walter & co at Roadburn can’t say as we blame ‘em. It’s a fiery, mostly instrumental, head-wrecking blend of finger-mangling impossible guitar riffs, busily burbling bass molestation and dizzyingly dexterous drum battery that manages to be fiercely progressive and insanely technical without falling into the trap of directionless shredding and we just love it. They loved it so much that they invited Lazer/Wulf to bring their insane musicality to the 20th edition of Roadburn Festival, and you can experience them at the 013 venue in Tilburg, The Netherlands on Thursday, April 9, but please remember to take the proper precautions or your head may explode. Roadburn Festival 2015 will run for four days from Thursday, April 9 to Sunday, April 12 at the 013 venue in Tilburg, The Netherlands.